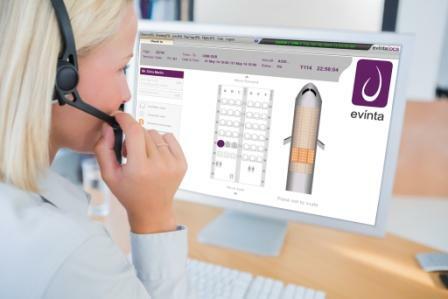 Evinta Departure Control Systems now running at over 40 locations worldwide. Colombo, June 09, 2014- Evinta DCS, the pioneer in Cloud-based departure control, is now compliant with RESA. This is the third airport environment that Evinta runs on – the other two being SITA CUTE and ARINC MUSE. Evinta DCS is the very first Departure Control System that allowed its customers a choice of operating in either a CUTE or non-CUTE environment. CUTE - Common Use Terminal Equipment – often determines the Departure Control System an airline may use at the check-in desks and boarding gates. Launched in 2010, Evinta DCS became popular with airlines and ground handlers who needed an alternative to expensive legacy systems. For customers who wanted a complete break from CUTE, Evinta DCS offered a fully Web-based solution with IP messaging. Yet, some airport handlers still need to work within CUTE environments. For them, Evinta DCS now offers several optional environments including RESA. Established in 1991, RESA has been developing open architecture systems using cutting-edge market technologies and today RESA's CUTE CREWS system has become the world's leading CUPPS (Common Use Passenger Processing Systems) system. Evinta DCS can now successfully be rolled out to RESA airports with this certification. Evinta is currently running in over forty airports across 6 continents worldwide. The lightweight DCS is offered as a fully-hosted solution by John Keells Computer Services (JKCS). The system enables check-in services through many channels including counter, web, mobile, kiosk and hand-held check-in. “Evinta is very popular in the Middle Eastern and African regions and we are now exploring the European aviation space with this RESA certification.” Said JC Ekanayake (CEO – JKCS: Creators of the Evinta Suite). “With over 160 airports worldwide falling under the RESA radar, Evinta now has access to a much larger playing field,” he further added. The Evinta DCS with robust back-up installation is preferred by airports across the world for its Cloud-based delivery model and minimal downtime. Offering lowest infrastructure costs and shorter implementation time, the system is flexible in providing multiple check-in options.